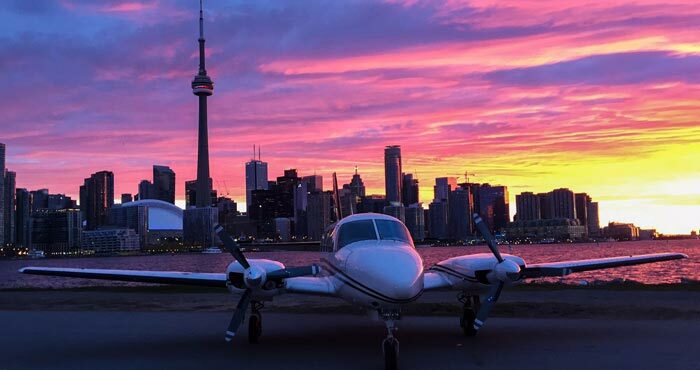 flyToTo Flight Escapes is an upscale leisure tour company operating affordable flights from the Toronto region to popular Ontario attractions and destinations. Conveniently accessed from Toronto’s Buttonville Airport (20 km from downtown core), enjoy the spectacular views while we transport you to premier destinations in Ontario. From Toronto to the Niagara region; to the quiet lakes of Muskoka; or the rolling hills of Collingwood and soon, the world-famous premier greenery of Algonquin Park, and other new and exciting packages – we offer views with value. Our dedicated management and flight teams have a combined 60 years of experience in aviation - helping set up and operate international airlines and tour companies from around the world. Join us for a new, hassle-free travel experience aboard a Navajo P31 aircraft configured in club seating for up to eight passengers and our Cessna 172 for your private tour experience.